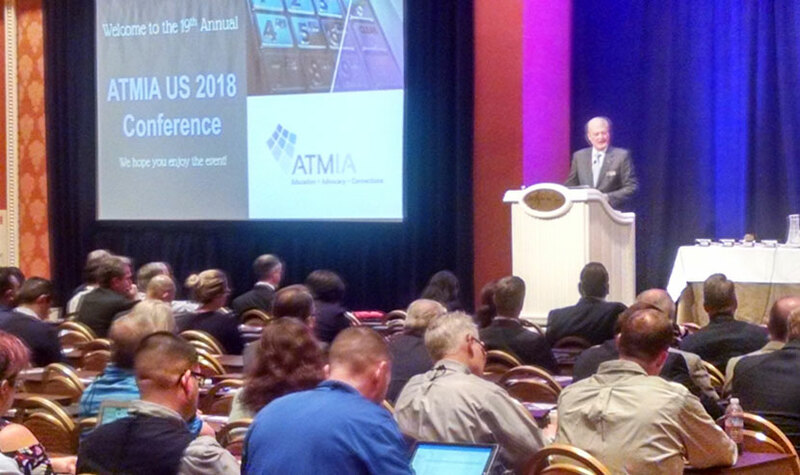 Just back from a busy week in Las Vegas attending the annual ATMIA US conference. It was great to see so many people still engaged and working to keep the ATM relevant and viable for another 50 years. The US ATM marketplace is near or at the saturation point. This means less growth, lower margins and more competition. Speed and efficiency will be key to survival over the next few years. Mobile everything will continue to drive consumer behavior. Consumers want and need to have a common user experience across all delivery channels. Interaction between mobile devices and the ATM will continue to drive change. Organizations who can adapt quickly will continue to succeed, others will fall farther behind. Unfortunately, much of the budget for new products and services is going directly to the mobile channels, making it even more difficult for ATM owners to keep pace. ATM security will continue to be an issue on several fronts. From a cybersecurity perspective, ATMs continue to be vulnerable to certain types of hacks and attacks, especially when they are not running the most current version of OS or protective mechanisms. Physical ATM security is also a growing issue here is the USA, with a lot of discussion about the latest Jackpotting attacks. Legal and regulatory changes are another burden that must be dealt with. Even though the pressure from Washington may seem to be down, there is still a lot of aggressive activity at the state and local level that must be addressed. The Windows 10 is going to be painful and lot of work for little forward motion. It seems like most folks at the conference know that this technology change is looming, but have not yet begun to build detailed migration plans. Change will continue to accelerate. I heard several senior industry resources say that they have never seen this much change taking place at one time. The Next Generation ATM initiative sponsored by ATMIA is a direct response to the increasing rate of change and the need to make fundamental changes in order to ensure that the ATM channel remains relevant and profitable. With all the talk about the pace of change and the need for Next Generation thinking, I was somewhat surprised by all the last generation behavior. When it comes to testing, it seems that there are still a lot of organizations working off post-it notes and Excel spreadsheets. Putting a Next Gen test platform in place now is a strategic investment that will pay big dividends in the future.